I just got a new t-shirt sent to me by Blekko, the new search engine. Blekko has a lof of cool stuff that I have written about on my other blog, at Contoleon.com. Being able to create groups called Slashtags and limiting your search to just them. For popular searches that are overcrowded, like blogging or music, this restricts the search to known credible sources, cutting the spam. The ability to edit and manage Slashtags can be shared, making it easier for you to collaborate to create groups of sites that are credible and useful for later use. Searches, including terms and slashtags, can be ordered by relevance or date, making it easy to find the most recently updated content. This search can then be subscribed to as an RSS feed. 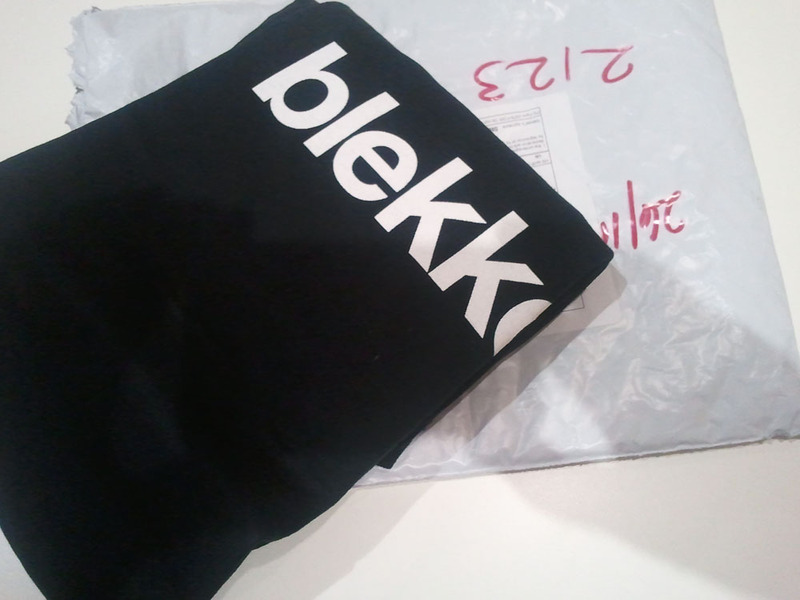 They also sent me a cool t-shirt, because I emailed them after this post: Blekko’s Launch Rocked: 10 Thoughts. Finding a coffee on Park Road is not hard. Finding a good one isn’t a problem either. 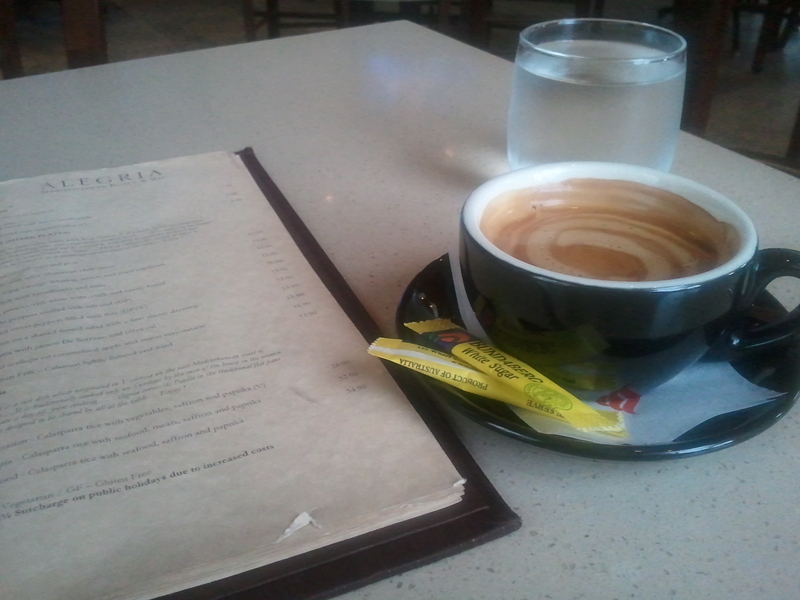 There is always La Dolce Vita, and most of the other cafes are worth trying too. Including a brand new one called Alegria Mediterranean Bistro & Bar, just next to La Dolce. It is actually more restaurant than cafe, and their tapas menu is certainly worth checking out, but they also do good coffee. Alegria serves Moak coffee. I enjoyed the long black; it was strong, though a little bitter. Alegria also had a range of biscuits, some of which were made by one of the proprietors’ mothers. It is amazing how good someone can be at baking after a few decades’ experience, as my own Greek grandmother’s biscuits demonstrate as well. GW Private Room is the first hairdresser I’ve been to that offers wine as well as tea or coffee. They also do breakfast. It is a neat little place in Festival Towers with free parking for customers and one of the coolest two level layouts I have seen. Hannah recommended the place, and it was a great choice. They also serve black coffee in a glass. It and the yoghurt arrived on a rectangular plate as they got to work on my hair. It is actually harder than you think to eat and get your hair cut without getting hair in your food. The coffee was OK but the glass was too hot. I guess this is why no-one else serves black coffee in something so conductive. Since they have massage chairs for the customers to sit in while they get their hair washed, I don’t plan to hold this against them. The haircut was very good, the coffee was very ordinary, but overall in terms of service, GW Private Room does stand out. Business cards are archaic. Inscribing some information on a piece of ex-living flora is not a perfect fit for a digital world. Getting the information from its dead tree format into a useable form is annoying. Unless the card has something like a QR code or a smartphone app like CamCard. CamCard scans a photo of the business card and imports the details it recognises to your phone’s contacts. It is mostly accurate and any errors it picks up can be corrected when you get to preview the information imported, before it is added to your contacts. Unlike information sharing apps like Bump, you won’t be restricted by who may or may not have it installed and set up. CamCard works with normal business cards, as they have been for decades. The other week my boss was at a conference. He had just recently installed CamCard on his iPhone, and loved it. It scanned cards fast, and mostly accurately. The cost of the full app in the end was worth it, especially compared to how much time he would have lost had he had to enter the details manually. CamCard works well, and can save heaps of time. While I wish Bump was more widespread, rendering business cards obsolete, for now there is a need for apps like CamCard.